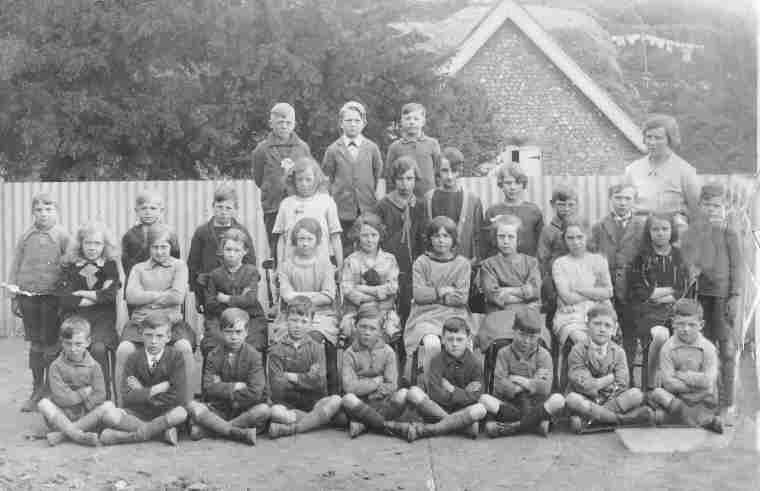 The photo above was taken in the playground of Alkham school around 1928 and we are keen to know who the children are. The boy at the back on the left is Harold Richards and next to him is Gordon Preston. Percy Read, Eddie Roxburgh (cattle conveyor), not known, George Saunders, Eric Prescott, Buddy Holmes. 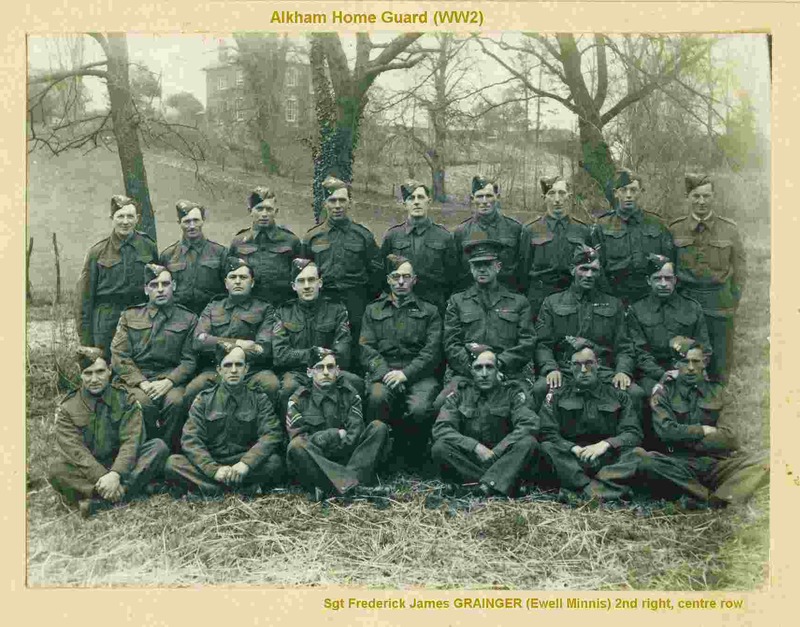 With thanks we received an email from Alan Brigham who told us about Alfred Gordon Brigham (see above) and he said the date of the picture is between Jan 1941 and March 1942 (when he transferred back to Dover) Also - One day Gordon decided that his wife Frieda should know how to use his rifle. But he forgot there was a bullet in the rifle. Fortunately when it went off, it just made a hole in the skirting board --- there were of course no Xmas crackers during WW11, but Gordon and his cronies managed to make their own using cardboard toilet rolls with practice bangers inserted and covered in coloured paper - believe they also made fireworks by using gunpowder from bullets. 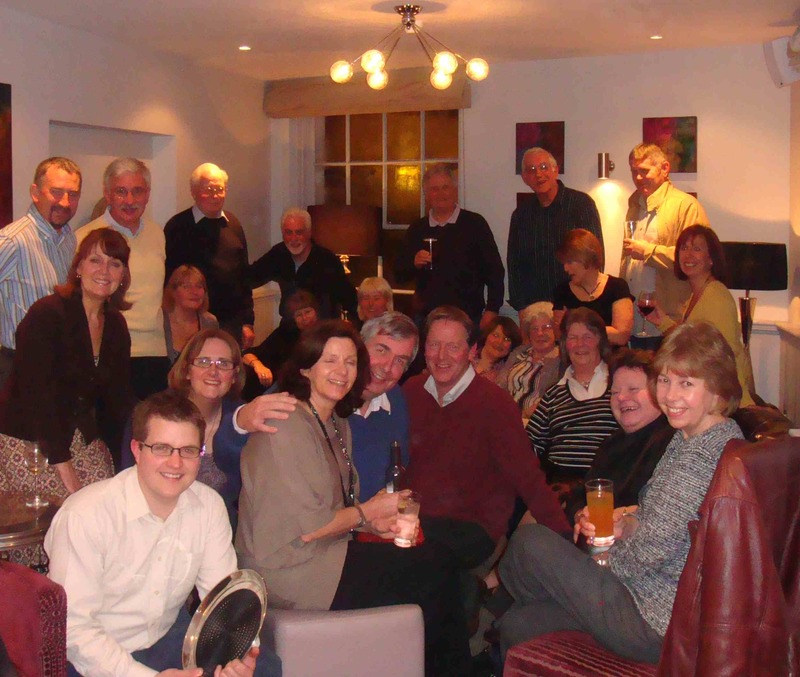 FRIENDS OF ST. ANTHONY was set up in March 2009 to support and raise money for the preservation of the building that is the church for the benefice of Alkham, Capel and Hougham. The normal day to day church expenses will remain the responsibility of the regular churchgoers. We have raised about £28,000 of which £10,000 was from another local charitable trust. The rest of the money was obtained through donations and a number of events such as quizzes, a barn dance, a guitar concert and producing Christmas cards and calendars. In addition we received money from an annual charity cricket match in the village. Gift Aid has also been reclaimed from HMRC. The church ceiling has been replaced in the main part of the church and the Friends have paid a portion of this cost. The Friends have also paid for numerous repairs to the church. Water has now been laid on to the church and a toilet for the disabled plus a kitchenette has being installed and the Friends are gave a substantial amount to help pay for the works. 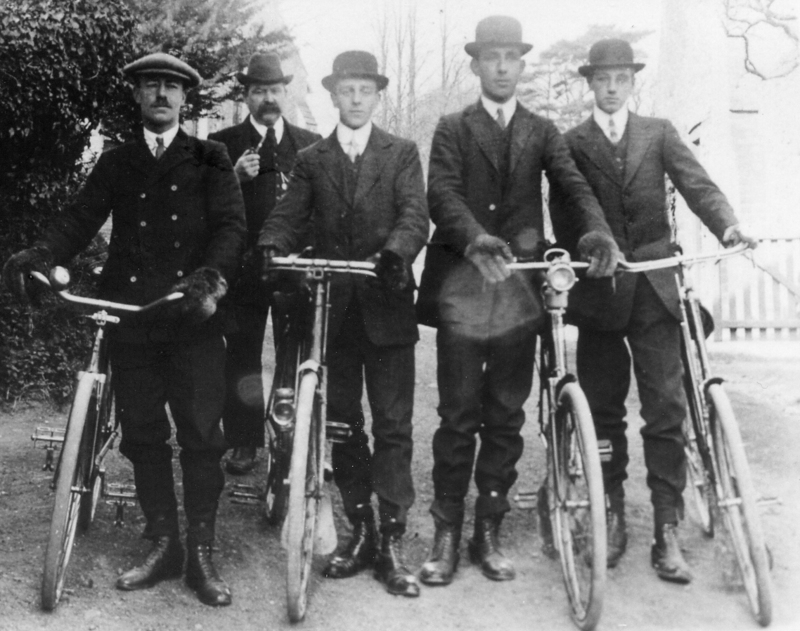 In the 1930's there was a cycle club in Alkham and 5 men can be seen outside the lytch-gate to St. Anthony's church getting ready for their Sunday ride. 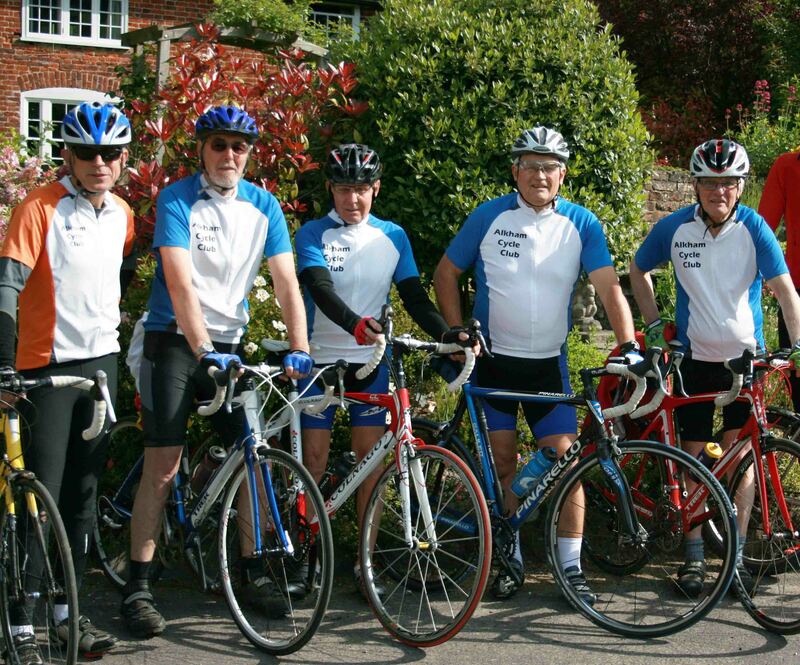 In 2010 the Alkham Cycling Club pose outside Halton Court for their regular Thursday ride. In April 2007 there was an earthquake in Kent which was widely reported in the media. As a tongue in cheek reaction to this, Alkham's Relieved Survivors of the Earthquake was set up and is known by the acronym ARSE. Originally they met at the Marquis of Granby public house to counsel and console those who had been affected by the disaster. After the pub was closed, to become an upmarket hotel, the meetings continued at member's homes. After one such meeting two ladies appeared to be very affected but the source was traced to two bottles of wine. Their good work continued and below is a photo taken in 2009 at one of their meetings in the Marquis. We are pleased to say that in 2018 the therapy has worked and the villagers are now able to live their lives without the worry and stress caused by the quake. Founded in 1977, the Alkham Valley Society took as its original aim the preservation of the natural environment and unique character of the Alkham Valley. The Society was formed to act as a pressure group for matters affecting the Alkham Valley, under the chairmanship of Mr Maurice Sayers of Alkham, in response to people's anger at the destruction of an ancient woodland, including Sladden Wood, and hedgerows in 1977. The unique character of the Valley has been recognised as an Area of Outstanding Natural Beauty (AONB). It contains Ancient Woodland, Special Landscape areas, Sites of Special Scientific Interest (SSSI), and a Conservation Area. 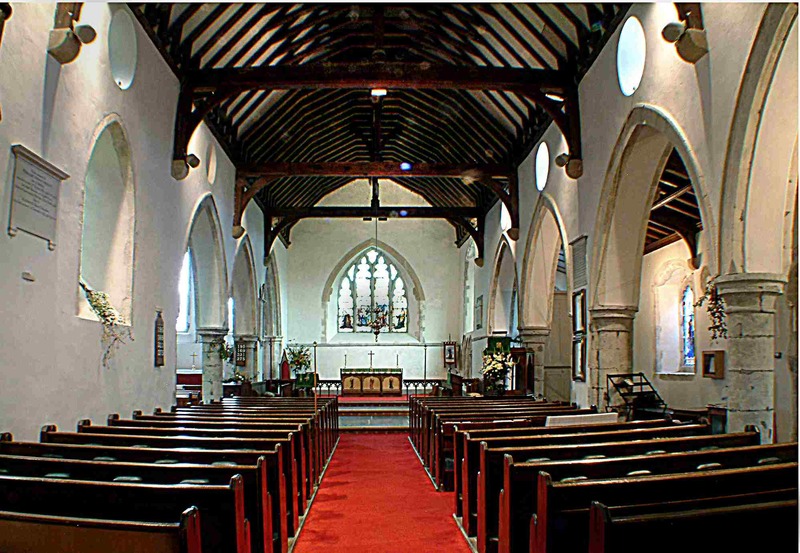 There are seventeen Grade II listed buildings of Historic or Architectural significance. The Church of St Anthony of Pamiers is a Grade I listed building and its church yard contains fifteen Grade II listed headstones. Among the Society's achievements have been, Tree Preservation Orders (TPO) served on a local farmer by the Dover District Council (1977), the reconstruction of the Pimlico Right of Way (in 1991) which had been bulldozed, and has recommended other ancient woods in the Valley for protection via TPOs issued by the Dover District Council. In 1982 trees were planted along the Alkham Valley at sites identified by the Society, which also paid for the trees. • for Kent Public Rights of Way (PROW) to maintain all byways and paths in the valley to an acceptable standard for all users. • for restricted traffic orders on certain byways within the valley where required. • against any inappropriate or illegal development within the Valley either business or residential. • against encroachment of new residential developments from beyond its boundaries into the valley. • for the introduction of traffic calming control measures throughout the Alkham Valley Road for the safety of all users, be they residents, walkers or Horse riders. • The Society participates in the White Cliffs Countryside Project and has membership of the Kent Federation of Amenity Societies, the Council for the Preservation of Rural England and the Kent Wildlife Trust. The Society is always seeking new members and it invites anyone who has an interest in the Valley, be they residents, ramblers, dog walkers or horse riders, who would like to help the Society maintain the essence and preservation of the Valley to join. *Please include your full name and address on the back of the cheque together with an email address so that we can keep you fully informed of the Society’s activities and campaigns. An Annual General Meeting is held in November in the Alkham Village Hall. Other activities include guest speaker events, visits to places of interest and the popular Christmas Walk on 27th December. In 2004 Alkham Recycling was formed to collect recycleable material from houses in the village. The local council did not recycle but Kent Community Recycling, a charity, at Hawkinge did and paid a small amount for the items collected. On the first Thursday of each month a van, lent by Hollis Motors, went round the village and picked up sacks of cans, plastic bottles, paper and cardboard and took them to Hawkinge. All the money which was raised from this was put in the Alkham Fund. Over the four years that it operated about £2000 was raised and to date £1400 has been spent on items relating to the village such as Christmas tree lights and a new map board.. In November 2008 Dover District Council started a full recycling scheme, so Alkham Recycling has ceased but the fund has continued. Every year the fund buys the Christmas Tree, which is put on the green by the Valley Road, for everyone in the parish and those who drive to see. In 2018 over £4000 has been raised and nearly £3000 has been spent.